What little girl has not dreamed of being Miss America? It is every little girl’s (and many big girls’) fantasy. For many of the fortunate participants it is not only a “dream,” but the result of lots of hard work. “Through the Miss America pageant, I met the most intelligent, exquisite and courageous women. I felt the process helped me discover my inner strengths as well as weaknesses. It built character and fortitude that I only imagined existed within. It help me to shape my career path as an educator as well as an artist. To date, I speak of the pageant, and more importantly the Miss DC organization, as an opportunity for young women to hone their crafts and speak freely on issues that affect our lives globally. It affords us the courage to stand before millions to represent and celebrate our cultures and exchange our ideas. Miss America was and still is one of the most profound experiences I’ve had. I’m so proud to be a former Miss DC and to educate others on the benefits and life changing experience I encountered. Thank you!" “My experience at Miss America was one of the highlights of my life. Not only was it a dream come true to compete on a national stage, it was an honor to represent our nation’s capital during one of the most challenging times in our country’s history – September 11, 2001. I acquired over $80,000 in scholarship money from the Miss America Program, which helped fund my law degree at Georgetown University. Being Miss District of Columbia opened so many doors for me – I will always be a proud ambassador." “Competing at Miss America gave me lifelong friends, wonderful memories and a two-week experience that was an absolute blast! More importantly than that, however, the organization taught me to live as a woman for others by stressing the importance of engaging myself in the community around me. That, by far, has been the most lasting and valuable aspect of being a part of the Miss America family." 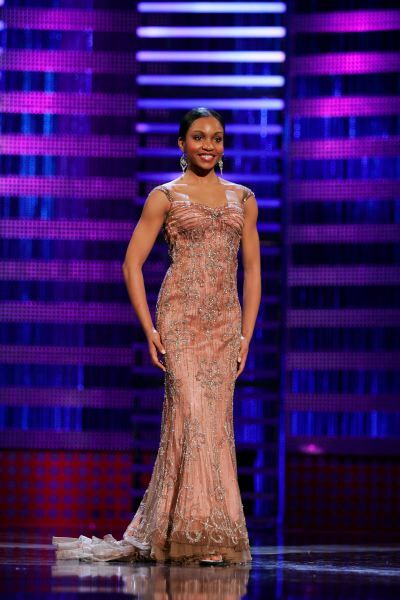 “Competing in the Miss America Pageant reminded me to put 110% in every opportunity that comes my way. It was an incredible experience, and I’m very grateful to have had the support of the dedicated members of the MDCO family!"